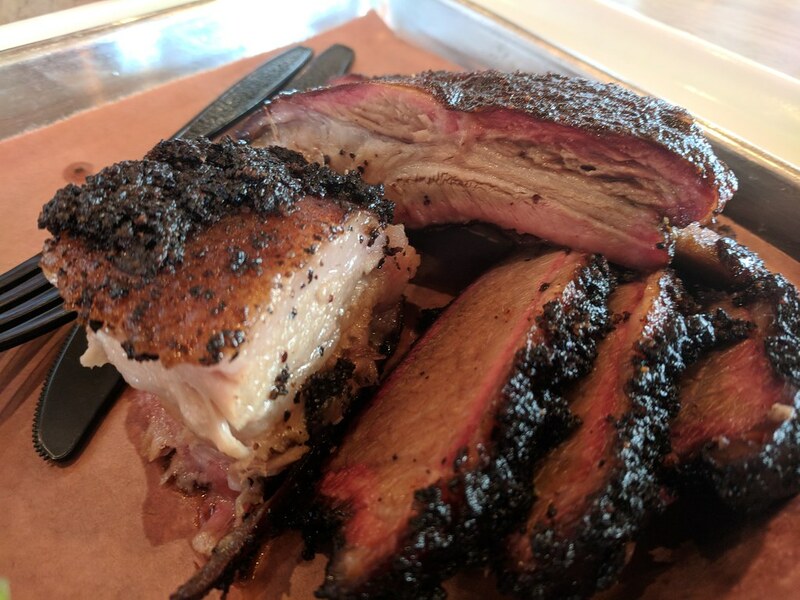 Houston Texas BBQ Pilgrimage - The BBQ BRETHREN FORUMS. I’m going to Houston this weekend for the Great Texas BBQ Festival and I plan on hitting a few Top 50 joints while in town. If time allows I will also be visiting Lone Star Grillz. Pics to come. Anybody else going to the festival? There's been a few threads recently where Houston is mentioned. Killens gets high rankings. The festival was rescheduled which was a bummer, but I still managed to hit several Too 50 BBQ joints. I got to be there for Tootsie’s Birthday! Great pix - thanks for posting! What all did you like best? I've been to Snow's and loved it, but I'm not familiar with those other spots. None of them were bad. Great Brisket at all of them. The highlight for me, besides Snow’s, was Truth in Brenham. Every single bite on that plate was amazing. Maybe the best sides that I’ve ever had. Definitely the best ribs. Tejas was really great, too. Their pork belly was a welcome change, and they have a green sauce that I could just drink by itself. It was a really fun weekend. I'm just going to slip this in as you're talking about Houston and just happen to be here today and managed to make a last minute trip to Killen's. It's been on my list for a long time. While it was definitely good. It was a slight bit of a letdown, as the brisket was a bit dry and tough (undercooked). I liked very much the seasoning. It was very heavy on the pepper, which I like, very coarse ground. However, it mainly was a texture and not overpowering. For reference I found the pepper at Louis Mueller's much more potent. The pork ribs were good. I liked the glaze. It was sweet, but different enough to be interesting. The gem was the pork belly. This had a simple seasoning, again, the coarse pepper was dominant, but it was the best pork belly I've had. I wouldn't mind going back again and seeing if I just caught the brisket on an off day. I'm just going to slip this in as you're talking about Houston and just happen to be here today and managed to make a last minute trip to Killen's. It's been on my list for a long time. While it was definitely good. It was a slight bit of a letdown, as the brisket was a bit dry and tough (undercooked). I was at Killen’s a few weeks ago and had a similar experience. It was very, very good but some items were hit and miss. I tried it on the same day that I tried Pinkerton’s, and I preferred Pinkerton’s on most things. I’m definitely going back, but I was just a little underwhelmed. The brisket tacos were fantastic, though. Ate at Goode bbq Co 2 weeks ago, thought it was great! Location: Angleton Tx. Used to be in the boonies but Houston's gettin closer every day! If you were in Brenham you were just 10 miles from Bellville. If you ever get down that way again stop in @ Bellville meat market on hiway 36, south of the courthouse. Not much for cooked food but lots of fresh meat and will cut it any way you like. And some of the best sausage I have ever eaten. About 15 varieties. Every time I go through there I take a cooler and stock up. Plus, if you get +20 lbs they knock off $1/lb. Killens is the only place in Houston I have not been. Theres so many places now in Houston with little to no line I have not been motivated to stand in much of a line. Is the line a zoo? Do they sell out? Reason I ask is because they have "dinner hours". If they are selling out not sure how they have "dinner hours".